Bipolar depression is a mental disorder characterized by manic, almost euphoric highs and depressive lows. It is a life-long condition. It can influence the victim’s energy and activity levels, and the ability to carry out day-to-day tasks. It can even result in suicide. There are ways to treat bipolar naturally, but before trying any of them, one must check with their physician to make sure there are no drug/herb interactions. When it comes to treating bipolar naturally, the basics of proper diet, sleep habits and exercising (some may call it cliché) cannot be neglected. Below are the best natural treatment for bipolar. Exercise has always been associated with releasing the hormones that we call “feel good” hormones called endorphins and they are natural remedies for bipolar depression. Start off slowly with walks around the neighborhood, and gradually build up the time and number of days walking. Gradually add in additional types of exercise like going to a gym. Disrupted sleep can really aggravate a mood disorder like bipolar depression. A first step may be figuring out all the factors that may be affecting sleep and discussing them with your doctor. It is important to avoid caffeine and exercise several hours before going to sleep. Making sure the bedroom is cool enough, dark, and without distractions all help to reach a deep restful sleep. The use of fans, blinds, earplugs, or sleep mask, help attain a good night’s sleep. Coffee, tea, ice tea, chocolate all contain caffeine. Caffeine is a stimulant and can make getting and staying asleep nearly impossible for many people. Abstain from caffeine, or at least no closer than 12 hours before bedtime. There is no specific bipolar diet, but eating foods that are nutrient rich, low fat, and low in simple carbs will allow the body to be healthy and avoid disease. 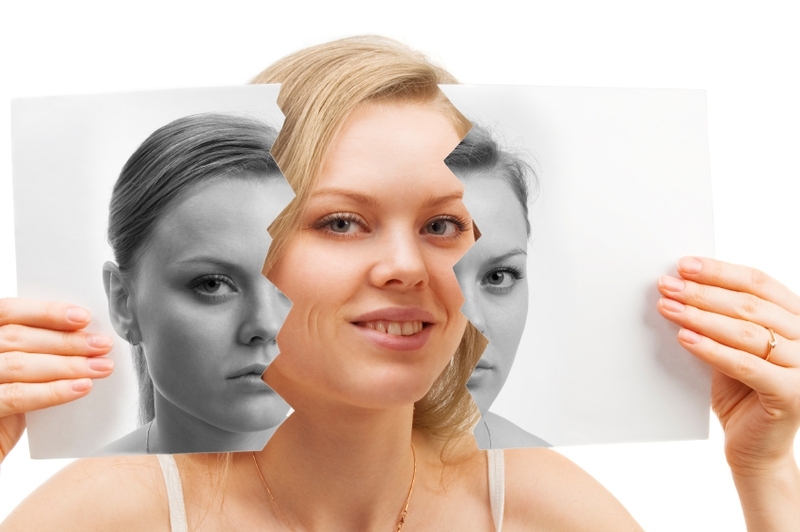 Treating bipolar naturally can be simply taking better care of the body as well as the mind. Omega-3 fatty acids have been associated with brain health. Places in the world where the diet is rich in eggs and omega rich fish have a much lower incidence of bipolar disease. Get rid of the “black holes” or energy suckers. These are the people who being with makes one feel bad about themselves or just plain bad. It is important to have healthy, stable, well balanced people in one’s life. Volunteer your time to help others. This type of activity encourages one to feel good. Surrounding oneself with positive people, helps to lift spirits. Yoga employs the use of poses and meditation. It also focuses on breathing. These all induce deep relaxation and can also invigorate. Yoga is also a good stretch for body and mind. Take breaks, especially if stress levels. Try deep breathing focusing on the breath. Remember to call a friend to both distract you and to feel good. St. John’s Wort is a remedy for treating bipolar naturally that has been associated with helping depression. However, it can have interactions with certain serotonin update inhibitors so they must not be combined. Stress complicates bipolar depression. Meditation calms and relaxes and can really help with stress. Since it helps produce a calm feeling, it should be part of the patient’s bipolar treatment plan.